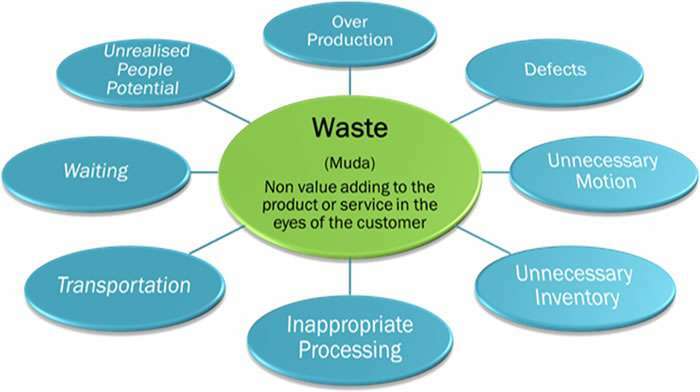 To follow on from the end of the 6 Nations rugby competition, congratulations to England by the way, I have used the 8 wastes we all know so well, and applied to the good game of rugby. How often do we see world class wingers and full backs waiting for the ball to come out of a ruck, or the forwards and go out wide? (Unrealised People Potential?). I won’t dwell on setting up time for scrums but some Referees really do need to get a grip on this and speed up! Safety is paramount but we do see a lot of time wasted at the break down and scrums (Waiting). Do we really need to kick away possession? Is this a clear strategy or is this inappropriate processing or unnecessary movement at times? Poor passes are defects in the process which can cause other wastes …… sometimes injury!